Purchasing a Flat-Coated Retriever puppy is a commitment that will last the lifetime of that puppy. The best way to obtain a healthy, properly raised and socialized FCR puppy is to purchase your puppy from a conscientious breeder with a long term commitment to the breed. FCRSA maintains a list of member breeders who have signed the Society’s Code of Ethics. While FCRSA does not police its members, this document serves as a guideline for both breeders and puppy buyers. A list of FCRSA member breeders may be obtained by contacting the FCRSA membership secretary. FCRSA requires breeders advertising in its newsletter to be members in good standing of FCRSA, and breeding stock to have OFA or equivalent clearances for hip and elbow dysplasia and patellar luxation, and to have CERF clearances for hereditary eye disorders. It should be noted that the only disqualifying characteristic described in the Breed Standard is a coat of yellow, cream or any color other than solid black or liver. The Society is opposed to deliberate breeding to produce dogs possessing a disqualifying fault. While yellow FCR’s can be wonderful family companions and are eligible to participate in all AKC Companion and Performance events for which the breed is eligible, they are not eligible for competition in the breed ring. They should not be represented as a rare variant of the breed to command a higher purchase price. 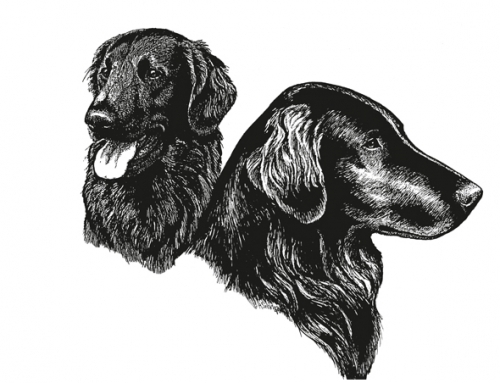 The Flat-Coated Retriever Society of America, Incorporated is dedicated to the health and welfare of the Flat-Coated Retriever breed while conserving the original breed function - that of a "working retriever." A purebred dog offers to his owner the likelihood that he will be a specific size, shape, color and temperament. The predictability of a breed comes from selection for traits that are desirable and away from traits that are undesirable. When a breed standard or type is set, the animals within that breed have less heterozygosity than do animals in a random population. 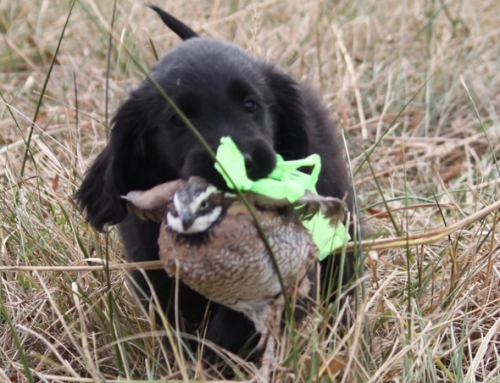 The Flat-Coated Retriever Society, Inc. is opposed to cross-breeding of dogs and is particularly opposed to the deliberate crossing of Flat-Coated Retrievers with any other breed. These crossbreds are a deliberate attempt to mislead the public with the idea that there is an advantage to these designer dogs. The crossbred dogs are prone to all of the genetic disease of both breeds and offer none of the advantages that owning a purebred dog has to offer. The Flat-Coated Retriever Society of America thanks Fran Smith, DVM, Diplomate American College of Theriogenology, and the Labrador Retriever Club for the use of the above statement. 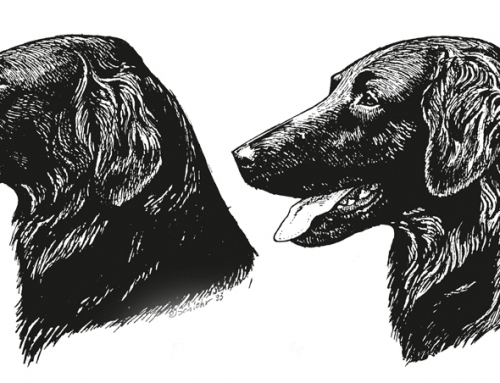 So You Want to Breed Your Flat-Coat? Think Again!